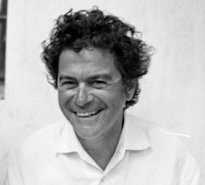 ALBERTO ALESINA born in Italy in 1957, is the Nathaniel Ropes Professor of Political Economy at Harvard University. He served as Chairman of the Department of Economics from 2003 – 2006. He obtained his Ph.D. from Harvard in 1986. He is also a member of the National Bureau of Economic Research and the Center for Economic Policy Research. He is a member of the Econometric Society and of the American Academy of Arts and Sciences. He is a leader in the field of Political Economics and has published extensively in all major academic journals in economics. He has published five books and edited many more. His two most recent books are The Future of Europe: Reform or Decline, published by MIT Press, and Fighting Poverty in the US and Europe: A World of Difference, published by Oxford University Press. He has been a Co-editor of the Quarterly Journal of Economics for eight years and Associate Editor of many academic journals. He has published columns in many leading newspapers around the world and has visited several institutions including MIT, Tel Aviv University, University of Stockholm, The World Bank, and the IMF.